Donovan Allman had no idea how he would feel the first time he stood outside his very own magic shop. Excited, perhaps. Nervous. Doubtful. Foolish. But Donovan did not feel any of those things. Instead, he mostly felt confused. For the most part, everything was how he pictured it. The location was perfect. Right near the edge of Skymoore, among the hustle and bustle of its “port,” as they called the region where passengers got on and off the city’s mile-long winch elevator (it was an apt name, as there were still docks extending out from the city; a holdover from the Skymoore’s long-gone surface days). It was the perfect place to intercept the city’s rare visitors who might want a souvenir on their way out, or perhaps an Amulet of Calm for the elevator ride. The building’s exterior looked great, too. A modest, single-story building of wood and stone, decorated with a hanging potted plant (chrysanthemums) and a tasteful placemat (“Welcome”). Nothing too fancy – Donovan Allman had had quite enough fancy in his day. In fact the shop looked a little pitiful next to the large brick office buildings on either side, and he liked it that way. But, pleased as he should have been with all the things that had gone right, Donovan found himself able to only properly notice one thing. “Odds & Ends,” the sign painted atop the shop should have read. 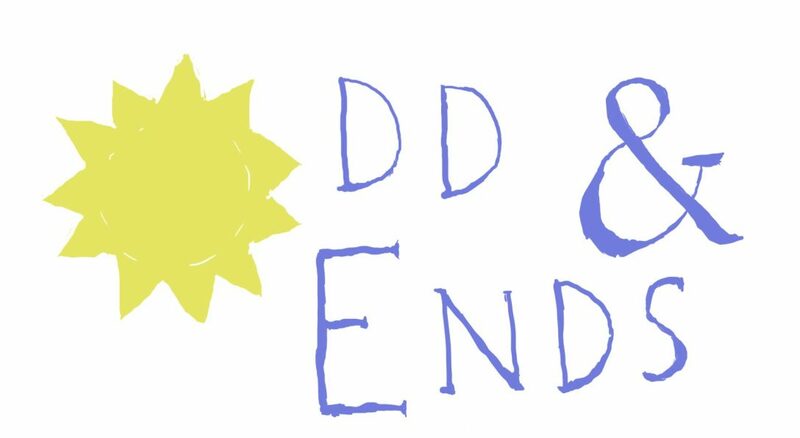 “Odd & Ends,” the sign painted atop the shop read. Donovan fretted over the missing ‘s’ for quite some time, while the port continued to bustle about him. He did not see the sentient statue greeting its family who had returned from vacation, nor the five-legged salamander that stumbled and belched acid in embarrassment, nor the wagon of apples that lost control after being covered in acid and careened off the edge of Skymoore never to be seen again. Instead, as the sun climbed over the horizon and brought daylight to Skymoore, Donovan just stared at “Odd” in silence while the busy people of Skymoore made their way out of the city, unsure whether to smile at the happy statue reunion (a feat the statues, being statues, could not replicate), laugh at the clumsy reptile, or bemoan the fifth lost apple harvest this year. “Mr. Allman!” a booming, jovial voice called, breaking Donovan from his trance at last. The shout came from a gnome – standing three feet tall, regally adorned with top hat, vest, and cane – who appeared to be actively containing himself from skipping down the road to Donovan’s side. “The paperwork I asked you to proofread,” Donovan replied, looking down to meet Nestor’s gaze. “So why not just call it that?” Nestor asked defensively. Nestor brightened a little at this. “Anything else we need to take care of before opening?” Donovan asked. Donovan began walking down the road in the direction of the mayor’s office, head in hands. He choked back a scream. But the human man said nothing, and continued walking. Nestor, assured in his optimism, watched the sun finish its ascent above Mount Paylor, and wondered how the sunrise looked to the people on down on Solkin.